The island of Bali - only a small part of the largest archipelago in the world, known for its forested volcanic mountains, iconic rice paddies and coral reefs. Despite the recent growth in visitor numbers to the island, Balinese villages have maintained their rich traditional culture and heritage impressively well. 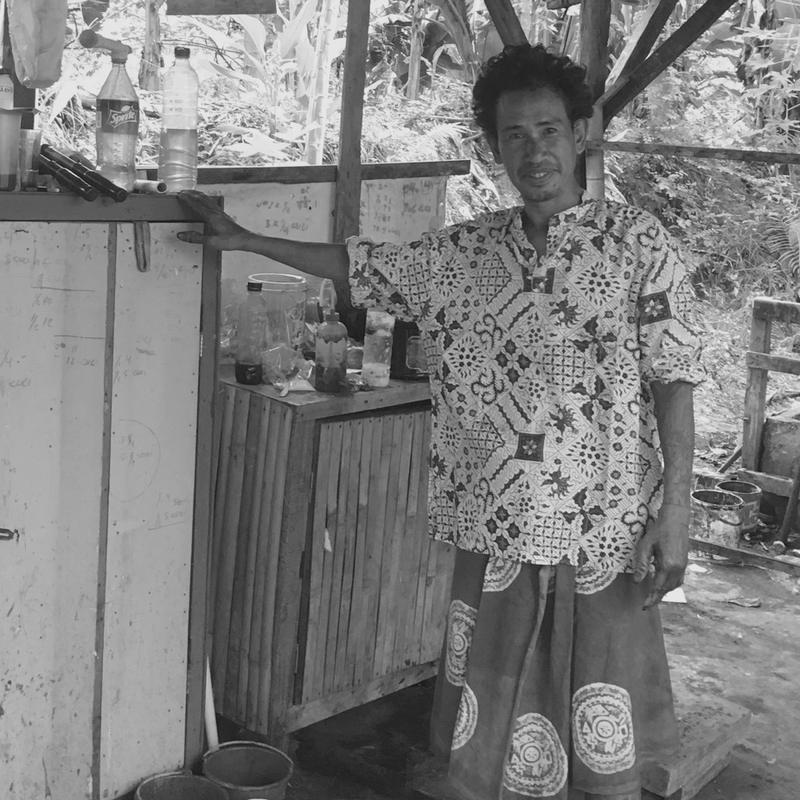 In a small, rural village up north on the island near Kerobokan we met Zainal, one of Cloe Cassandro’s ‘Batik Men’, as she calls the artisans turning each of her designs into unique and timeless pieces of art. Zainal, like many of the brand’s tailors works from the comfort of his own home - to still be with his family while creating complex patterns and vibrant varieties - scaling it down to fit the timeless silk chiffons iconic to the label. It would be near impossible to visit Bali and not be exposed to what is one of Indonesia’s most highly developed art forms, batik - As integral to the Indonesian identity as the country’s rich history and dating back more than a thousand years. Originally used for traditional costumes and worn only by royalty, Batik is now listed as a masterpiece of intangible cultural history by the UNESCO. 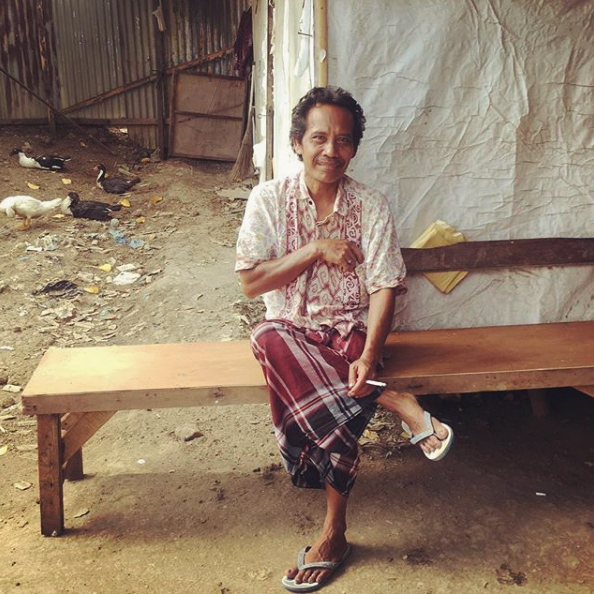 For Ketut, and a majority of the Balinese, it is much more than just a pattern on fabric - It’s an ancient traditional art, passed down through the generations. Aesthetically unique and subtle, wearing batik is wearing a piece of history, a piece of art - no two pieces of handmade batik being the same. Every design carries a special meaning; a special story by the artisans who have mastered this craft. Batik is a slow approach to fashion. The nature of the textile is made by hand, using ancient wax-resistant dying techniques, making it an very complex process. There is no way to produce batik fast - complex pieces can take an incredible three or four months to complete, making it impossible to mass-produce without losing control of its quality. Production is weather dependent - It stops when it's raining, which only adds to the slow nature of Batik, and becomes especially problematic during Bali's rainy season from October to March. Traditionally having a major impact on the environment, artisans continue to innovate and find new ways to ensure a sustainable future of Batik - introducing wax filtering techniques and more sustainable practices. 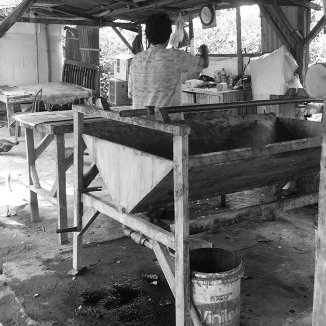 Zainal and the other artisans producing for Cloe Cassandro started recycling old wax, mixing it with new wax to minimise waste. They’ve come up with a system to filter out the wax and dye from the water - Only once the water is clean does it go out into the river. While Batik is an example of timeless creation, the ever changing fashion industry and the association people have with batik seems to lock it into a time capsule. Cloe’s mission when founding her label in 2012 was to keep the traditional art of Batik from dying. To keep providing jobs for the people that often only have this one craft. And for Batik to be continued for their future generations, by educating her customers on the history and culture of batik. Because the ‘Batik men’ are practitioners by blood - it often being the only craft learned by the artisans. Over the years, they’ve become masters of their craft, evolving their practice using contemporary designs and implement sustainable practices that go back to nature. Meet the team. Head of production Santi (left) and head tailor Ketut and his wife (right)..
Batik is more than just a piece of fabric. It has culture, a livelihood and a narrative of its own. Batik is a source of life. It has been a huge part of Indonesia’s culture for many years. Yet it is an art undervalued by many. There’s a lot of dedication in making Batik, melding neatly with sustainable practices. 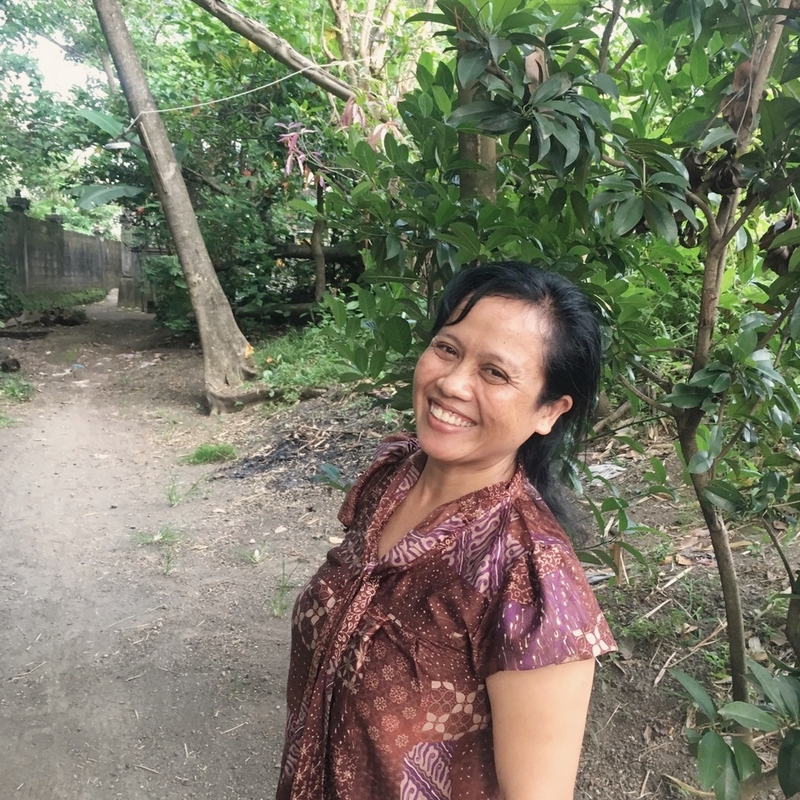 By reinventing how it is worn and appreciated, Cloe Cassandro hopes for Batik to keep being given over to future generations and artisans on the island of Bali - and be educated to everyone, even to children that cannot go to school. This semi-transparent maxi silk chiffon coverup (Fifi) uses 5.5 meters of fabric. It takes about one week to make a single dress - with production stopping when it's raining. Pair with a simple one-piece for a casual beach look or belt up to highlight your waist and take it out at night. 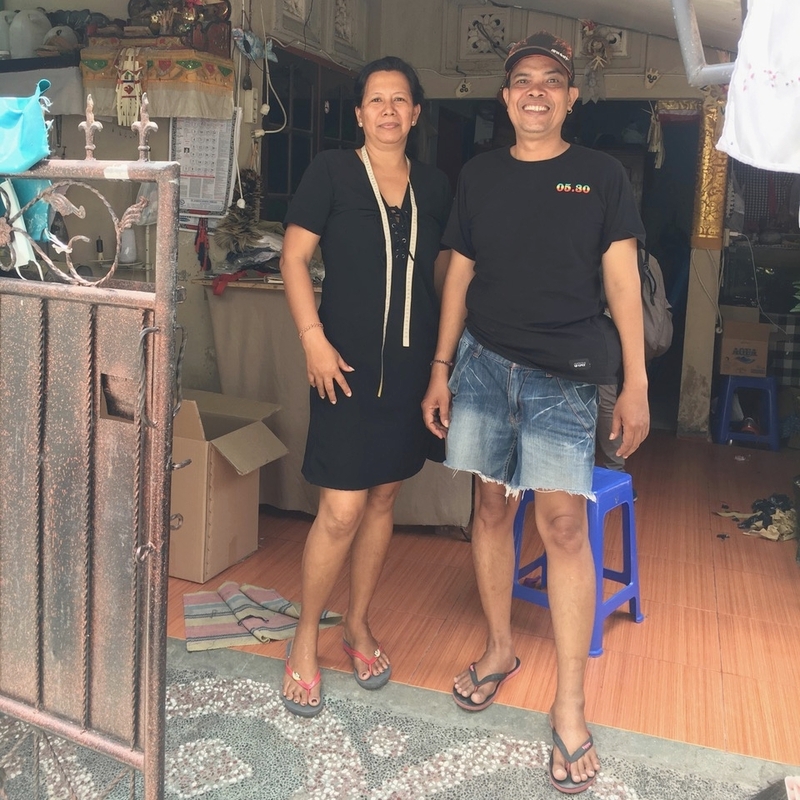 When buying from Cloe Cassandro, you are indirectly supporting craftsmen from Bali, and securing the future of craftsmanship with a greener approach to the planet.